Hello there! Its been so long we met. How have you really been? Ok so 2017 is over and I am quite late to realise this. Those born on January 1st 2018 are almost two months old now. Winter is almost leaving us to the sweetness of Spring and then to the wrath of summer. Well, as I write this I am wondering “Now what?” I am late and very late to many things around here. I last wrote a post on my blog in June’17. To some, it is a heinous crime that you can be doing to your blog. Yes, I know and I have done the worst to my blog in the past six months. Now what? Umm! 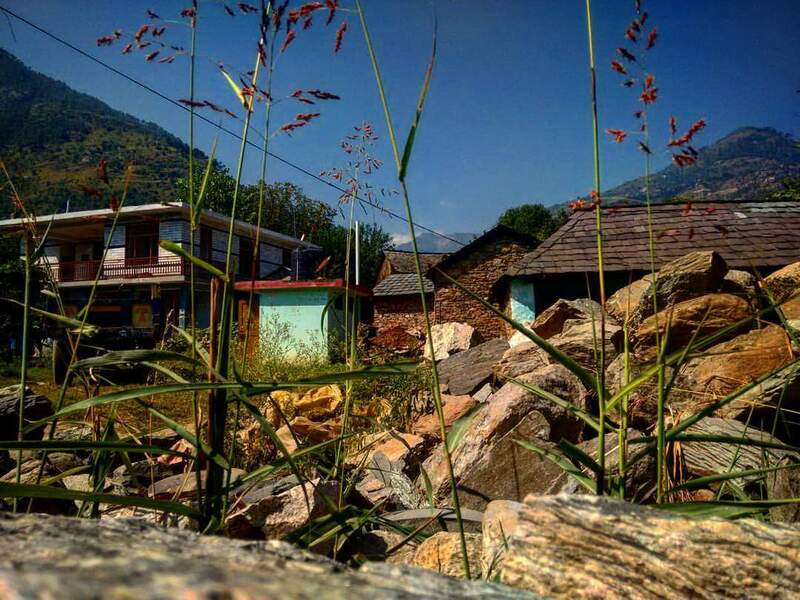 Maybe let’s get lost in unknown villages! My life took some really uncalled for turns last year. After a lot of throwing around of surprises, shocks and shuffling, I feel I am holding up quite better now. I got a job (Yayyy!) in a domain that justifies my educational qualifications, though it’s not yet related to my passion of travel and writing it surely does help me pay my bills and travel more. I never really wanted to be a nomad, I am and will be a homebound traveller. I also kind of get the fact that travelling plus writing and a full-time job are quite possible. You just have to plan and execute well. 2018 will, therefore, be an attempt to rock being a full-time management professional and a part-time dreamer and a writer. How about some crazy travels this year??? The job changed my abode as well. From the foothills of the Himalayas near Darjeeling, I was sent miles across the country to Punjab in the month of August. 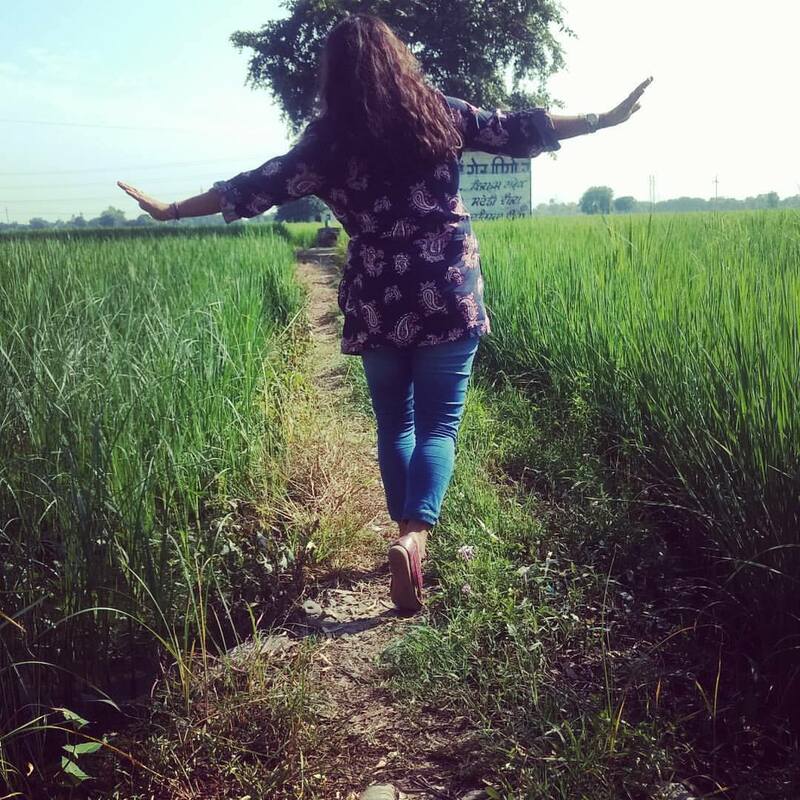 I have been so fascinated by Punjab all my life, thanks to Bollywood movies and Shahrukh Khan, my life was pretty much screwed already!. Punjab equated to lush green and yellow mustard fields, amazing food, lassi and romance unbound. Well, in reality, that’s not entirely true. The lush greenery is pretty much limited to the countryside and I live in the city, food yes but romance I fail to find as it is shown in the movies. Sob Sob! With Punjab, I nursed my heartbreak. The biggest setback of 2017 was a broken heart and leaving home once again. I was homesick and lonely but Punjab was the best antidote to all that depression engulfing me from within. Heartbreak is probably one of the most powerful emotions humans experience in a lifetime and being an emotional Cancerian life can be quite difficult a journey. Somewhere near Jogni Falls, Manali, Himachal Pradesh. 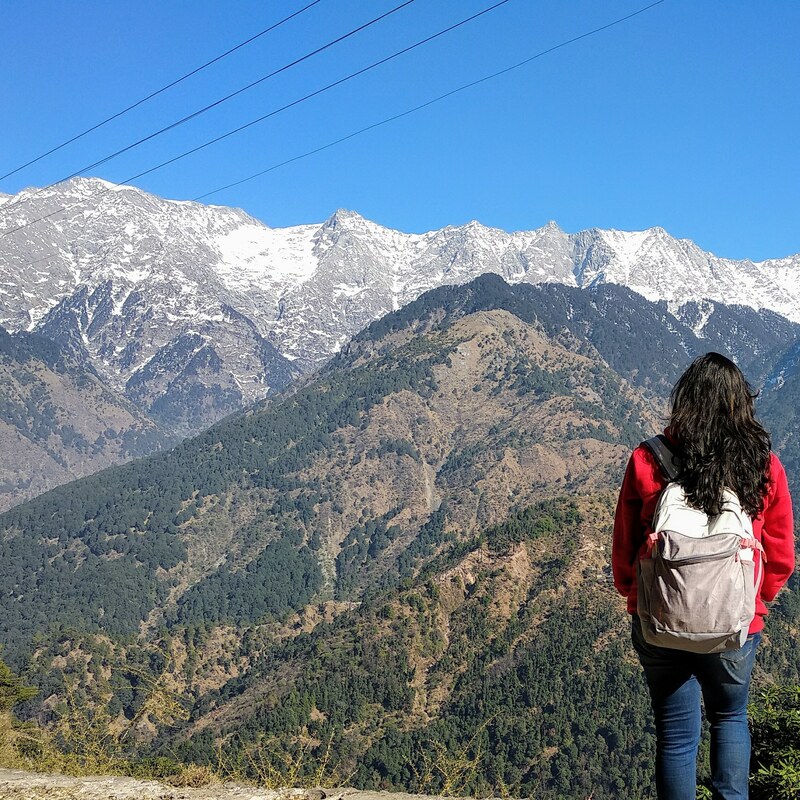 Yes, I travelled to Himachal to heal my broken heart. It was a visit to one of my favourite places in India, Manali. 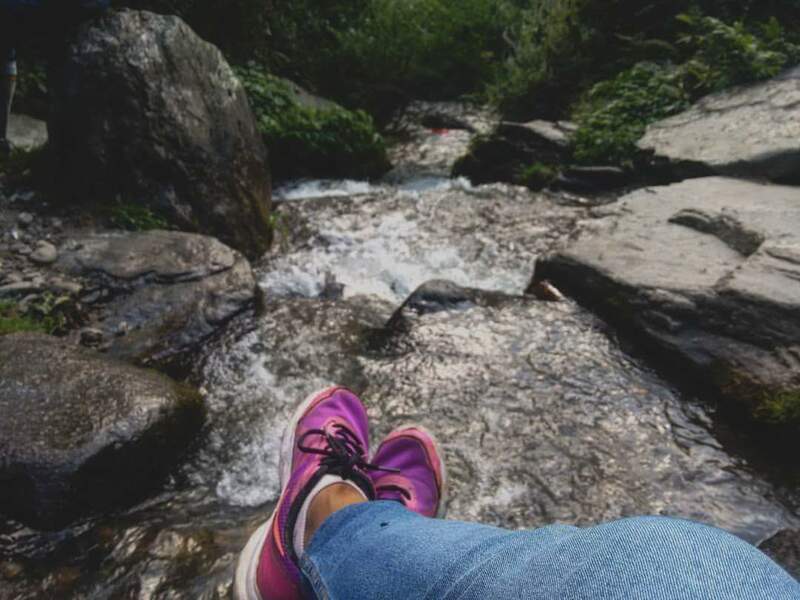 I did a short hike to the Jogni Falls in Vashisht, visited a museum, ate some amazing trout fish, drank some apple cider and listened to live music performed by some amazingly talented local singers. I came back refreshed and rejuvenated but here’s the truth only time can heal that ache and it does take time. So, hang on you lovelorn souls, heartbreak isn’t easy but things only get better with time just like wine, right? 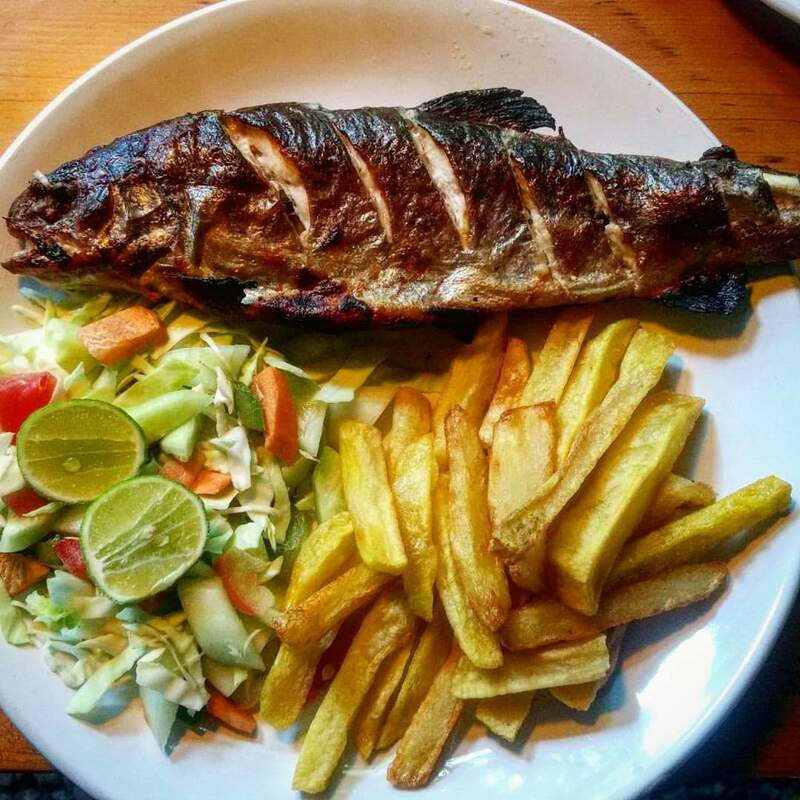 Make room for some Trout Trout! Before I even realised it, summer and the terrible heat of Punjab turned into pleasant days and now I am revelling in one of the best winters of my life. Well, I ended the year 2017 on a good note by travelling to Mcleodganj in Himachal Pradesh. 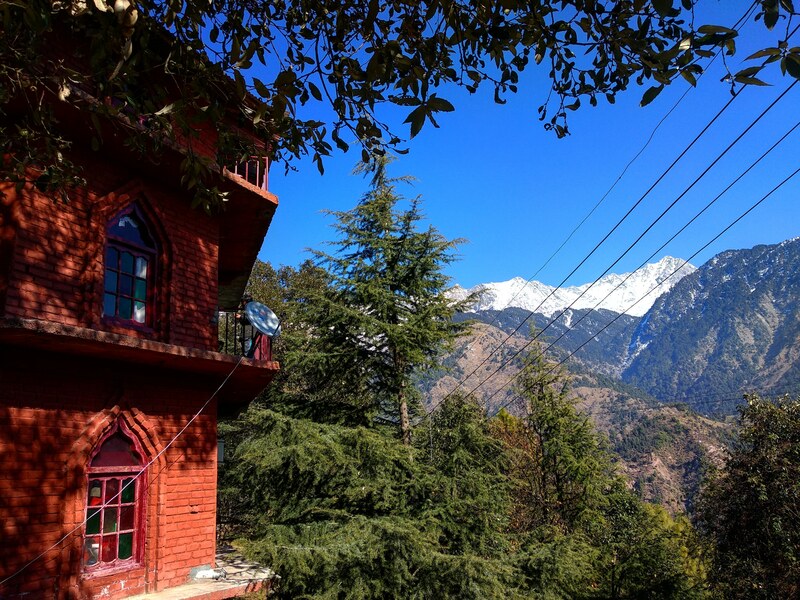 A beautiful hamlet overlooking the Dhauladhar range, this bustling hill station is filled with good vibes and amazing Tibetan food. 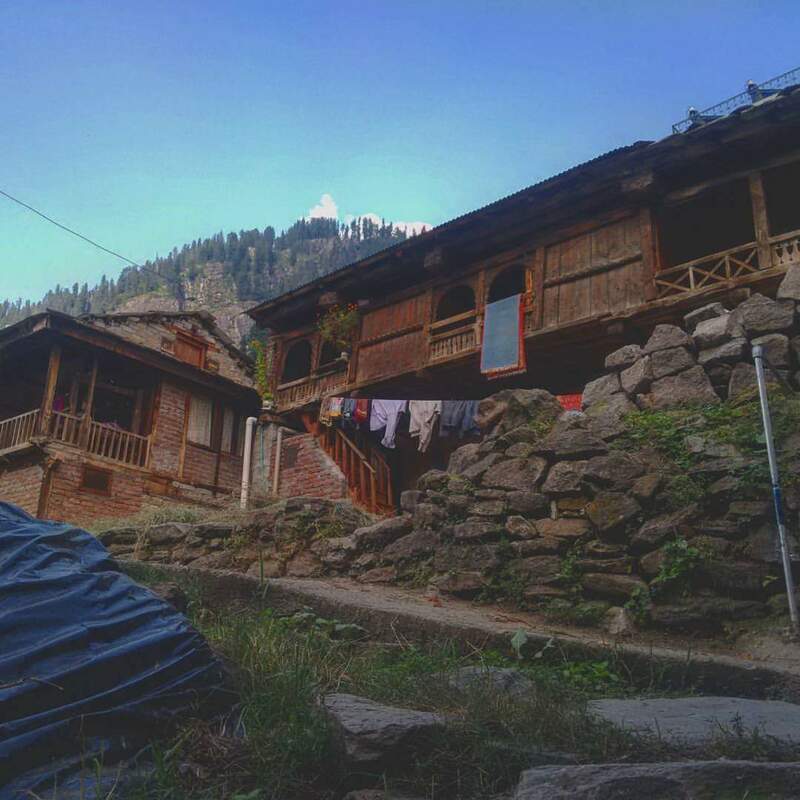 I stayed in Naddi, which offers some breathtaking vistas of the Dhauladhar range but is far away from the crowd of the city which is definitely a good thing. Overlooking the Dhauladhar range at Naddi, Himachal Pradesh. All in all 2017 was a good year and though tough at times it opened my eyes to a lot of new things, emotions, experiences and life altogether. My work has been keeping me really busy which is why I haven’t written at all in the past 6 months. I have been meaning to write and craving to write but dealing with life was a priority in 2017. To lots more travels this year. Stay tuned!! Well, this is my first post for 2018 and I am really overwhelmed to write it after such a long break. I have promised myself to write more consistently this year and travel all the more. I have realised heartbreaks are not really the end of the world. Life happens as and when it is destined to so it’s always better for us to stay tuned, stay strong and stay grounded. Never give up on the things you believe in and focus your energies to attain that. Adios, I take your leave now. Leave me a comment about how was 2017 for you? What were your major achievements and now what? Yes, now what about 2018? What are you planning to do this year?